The coach’s face, like an overripe beetroot, had turned a fascinating shade of red. And his nostrils, like those of a Pamplona bull taunted once too often by a lippy tourist from the Bronx, had begun to flare with malice aforethought. I nodded, as if sensitive to his plight yet committed to umpiring principles. The truth, however, is this: I was in no way certain it had walked like a duck, let alone quacked like one. It had all happened so fast, as they say. After all, this was baseball, or a small-fry version of it, and as such, it remained at the mercy of game-of-inches geometry and “split-second decisions” like mine. This one, though, had come without precedent. Or instruction. While lining up his bat to meet the ball, the little tyke had tapped it just hard enough that it rolled off the tee and dropped to the dirt. Yep, that’s how the whole thing had started: one little tap, and then a precipitous thud. 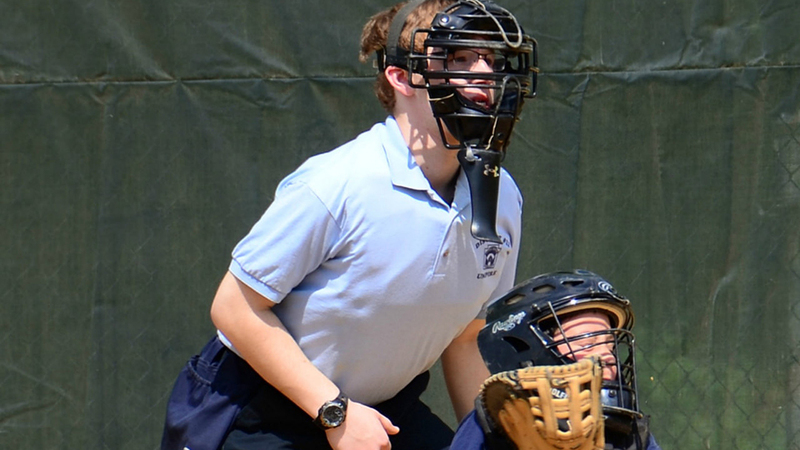 In the first inning of the first game of the season, the leadoff hitter for a YMCA tee-ball team had suddenly created what could be classified as a crucible moment for an 18-year-old umpire just home for summer after his first year at college. A trio of options, each as artless as the others, had bounced through my teenage brain: raise the right hand and call it a strike; raise both hands and signal, like, timeout or something; shrug both shoulders and pretend I hadn’t seen it, or that the game hadn’t actually started, or that, hey, we’re all friends here, right? — so let’s just give the little guy a break lest he grow up to believe the world is an unfair place with all kinds of nettlesome rules and their ridiculous consequences. What’s a boy to do? Hey, I was just a decade older than the half-pint who had tapped the ball. The kid had stood there, staring at me, while I had stood there and stared at nothing. Wind and heat and uncertainty had passed between us, but no words, no rulings, no authoritative oration regarding the way tee-ball is properly played. Seconds had passed in that lonesome split-second, years, decades, millennia, eons and measureless chunks of unthinkable eternity, and still no answer, no ruling with regard to one unhappy and inadvertent half-swing. What is a boy to do? No one had prepared me for this decision. The rulebook, which I had attempted to memorize in preparation for my $13.50-per-game job, had said zippo about the prospect of a cute little guy tapping the ball off the tee and thereby gashing a great hole in the covenant that says umpires know exactly what to do even if they don’t quite do it right. First-person pieces like this one, especially on the Internet, are kind of stupid. Nobody wants to read them. What people want to read, with regard to baseball, are expert analyses of the kind I am incapable, maybe a breakdown of some dude’s swing path or a mapping of some other dude’s pitch framing. Anymore, baseball writing is not uniformly the province of writers, per se. It is often the province of mavens, those whose authority derives not necessarily in the ability to craft a florid, English lit-style sentence but in the ability to break down the game in insightful ways. Today, you are more likely to see a statistician or former scout score a byline than you are someone who fancies himself or herself a scribe of Shakespearean distinction. That’s just the way it goes, or just the way it is. So I apologize in advance for even the subtlest implication that my words are worth reading. I also apologize for the subtlest implication that you care about me or my stupid life, especially insofar as you might allocate time to a few thousand words about precisely that: my life, or at least my life on the edge of baseball as I understand it. But it’s the offseason, and in the offseason, thoughts turn less to baseball as it is played and more to memories of it, persistent images and permanent impressions of days and nights long past and likely buried by the people, the other people, who now populate those fixed and flickering visions. As for me, specifically, I played the game from the age of maybe seven or eight and all the way into college, if briefly. My summer teams won five state championships and played for three national titles, winning none. That’s still a bummer, or a collection of bummers, but I have gotten over it. I know why guys who never won a World Series are still able to smile. It happens, man. But this piece — this first-person piece — isn’t about my playing days. Who cares about my playing days? I don’t even care about my playing days, not anymore. What this is about, as I understand it, is my time outside a player’s perspective. Mind you, I never planned to see the game from an assortment of outside viewpoints or to write about it in a burst of December inspiration. But suddenly, and after an exceptionally long time, that’s what’s happening now. In the summer following high-school graduation, I decided to serve as the manager for my (now former) school’s American Legion team. Clarification: I would serve as manager only on those nights when I wasn’t serving as another team’s player — specifically, the shortstop for an amateur team filled with dudes who’d be playing Division 1 baseball in just a few months’ time. Those games could get pretty intense — not because it mattered who won but because it mattered how you played the game. The outcomes didn’t matter so much as the individual performances of guys preparing for big-time baseball. In that sense, the games mirrored those of minor league ball: Sure, the players like to win. It’s more fun than losing. 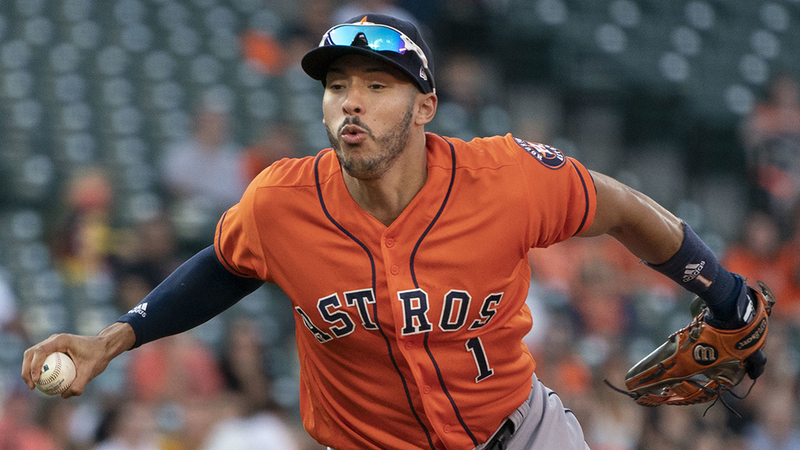 But what you really care about, and it’s no secret, is getting a couple hits and being a wizard in the field and maybe stealing a base or two. You want to show off, stand out, among players who are really gifted in ways of the game. And with that in mind, you feel 10 metric tons of self-applied pressure. It is the weight you carry from the parking lot and all the way back again. By contrast, Legion games were like recess, vacation, holiday. They were the sporting equivalent of summer break, a time between the pressures of whatever world is yours. Even when I played Legion ball, the games never rose to the level of “pressure situations,” never assumed the sort of tension that had pressed itself into the league — the other league — that sent us to state, regional, national. In retrospect, and even at the time, Legion games were like some earlier version of baseball, some nostalgic adaptation of today’s game, like something we had seen on TV: kids playing among the cornfields of the great Midwest, boys playing stickball on the streets of some Northern city we had never otherwise seen. Looking back, I think that’s why I managed the Legion team. I think that’s why I wanted the job, even if it didn’t pay $13.50 … even if it paid zippo. I still wanted to be around baseball, in some way involved in its rhythms and sounds, but without the pressure that converts it from a game to a contest. These days, when writing in the role of sentimentalist, a writer can scarcely avoid the honey-dipped cliches that drag would-be prose into the pits of absolute hokum, just dreadfully cornball stuff: the smell of cut grass, the feel of soft leather, the sound of the bat on the ball. Yep, you’ve heard it all before — the soundtrack of summer and all that jazz. But in the most familiar of eye-rolling banalities is the inerrant truth that drove it to duty as a literary hazard. I did like the smell of cut grass, and still do, and if that grass is the deep green carpet of both the infield and outfield … well, so much the better. I make no apology. I do not write well enough to avoid what’s trite. And it’s trite because so many people have contributed. We can’t “put into words” what it’s like to experience something that was never meant for description. Even as the manager, I still played catch before the game. I loved the feel of the leather. I loved the sound of that pop. That’s all I can say. I don’t know a way to make it sound better. After graduating from college I scored a job as the managing editor, then as editor-in-chief, of a glossy city magazine. No sweeter gig had ever found a less deserving knucklehead, but, man, I grabbed it and didn’t let go. Among my duties, aside from pretending I knew what to do, was writing whatever I wanted to write. I wrote a column. I wrote features on people you have heard of and people you haven’t. I wrote bits of this and that, mostly disposable but good enough for a steady check. I don’t remember what he said. Sorry. It’s been a while. I think he said he enjoyed college football, but don’t quote me on that. What I do recall is that he was extremely polite, thoughtful, soft-spoken and sincere. You’d never know you were speaking to a celebrity, a famous ballplayer. To this day, with regard to his troubles, I feel terrible for Palmeiro for that reason. On the phone, he seemed such a decent guy. Before I move on, I feel compelled to mention another experience. It doesn’t qualify as a story and barely merits a place as an anecdote, but still, it’s a part of my life at the boundaries of baseball. I had gone to the new Rangers ballpark in the late stages of its construction simply to check it out. I was wandering outside the lower concourse when a white Mercedes pulled to a stop a few feet away. The driver’s-side door came open, and out stepped Pudge Rodriguez. He wore sweatpants, tennis shoes and a cut-off white T-shirt. Dude had abs. As a journalist of sorts, I felt obliged to ask him a question. Granted, I didn’t have a story to pursue or even a subject in mind, but yeah, a question seemed perfectly in order. So I stepped directly toward the man and posed it. That’s what he said. You can quote me on that. And I believed him. Another perk of the job was that I often scored a press pass to Rangers games. I don’t mind admitting I abused the privilege. After all, I rarely wrote about the experience; the magazine hardly centered on sports. Still, there I was, 22 years old and chowing down on the pregame spread like I belonged at the table. I remember this one time: Jim Palmer, in his broadcasting suit and tie, sat inches from my right elbow. I don’t remember what he ate. I do remember his tan. That guy must have traveled with his own tanning bed. The Rangers media relations folks knew enough about my gambit, or suspected, that I invariably got dispatched to the auxiliary press box with guys from the Podunk Daily Chronicle and the Backwoods Skeeter-Gazette. I didn’t care. Actually, I preferred it. Most of the time I didn’t even stick around. I’d wander down to the cheap seats, grab a beer and watch the game, just as nature intended. Who cared about the score? I loved the feel of the night. The coolest times came when I gathered the courage to step on the field. Pregame, I’d show my press pass to the attendant and wait for him to say, “Nice try, kid, now run along,” but, amazingly, that’d never happen. Instead, he’d open open the little gate that separated the seating section from the playing surface and allow me access to a place I couldn’t sniff as a player: a major league ballfield. Mostly silent, I’d just stand there and watch batting practice as if I were watching a series of rocket launches at Mission Control. Seriously. I’ve written about this before, but I’ll do it again. You can’t imagine the strength: forearms like the innards of a radial tire, all hard cord with reinforced plies of sinew; and shoulders like shoulder pads. Even the little guys were all kinds of stout, and I mean jacked liked nobody’s business. What’s more, you could practically smell the testosterone. This was a man’s world, I’m telling you, and everybody was a man’s man. Granted, the atmosphere remained pretty relaxed. Guys on opposing teams would greet one another with handshakes, back slaps, just like old friends. Dudes would talk and laugh and, if they were Rickey Henderson, cuss. Still, everything had the whiff of competition. It was all one-upmanship, even if shrouded by easygoing banter: one guy hitting a ball harder than the last guy and the next guy hitting it harder than everybody else, especially if he was Bo Jackson. Good grief. The world will never see anyone like Bo, not in 10 lifetimes of paying close attention. His thighs looked like oak barrels, exactly. TV could not do them justice, and if I had been Bo Jackson, I’d have sued television on the basis of misleading commercial practices. He made other guys look like grocery clerks. Everybody — and I mean every player — stopped and watched him hit. The drives he delivered would rattle around in the cheap seats like Superballs inside a bank vault, just boing! boing! boing! boing! It was only when we watched Bo take batting practice that the players and I became momentarily indistinguishable. We were all little kids, wide-eyed, worshiping. Otherwise, what became most interesting about the players was that, once you stood among them, they figured you sort of belonged. Granted, you were mostly invisible. They didn’t exactly wander up and ask about your day. But neither did they spit in your face and tell you to go back to the Podunk Daily Chronicle. Everybody had a place, a role, and each remained essentially unquestioned. Bo’s was in the box. Mine? Well, mine remained mostly on the periphery, out there beyond the confines of the major league field. But on those few nights of summer I nearly felt I belonged. Sitting here today … sitting way out here on the outside and looking way back toward the inside … I still sort of see myself on the field. I don’t know if the view can get much better. The top of the first inning came at last to its merciful end. Having conducted it from my umpiring position behind the pitcher’s mound, I knew I had made the correct decision in calling the kid’s inadvertent half-swing a strike. Clarification: I thought I knew. Because really, in situations like these, who knows? Unless the rules of conduct are made explicitly clear, everybody’s just making it up as they go along. That’s the way the story goes, I suppose. Otherwise, the story just sort of happens. You are less its author than its character, or even its victim. I remember my final game as a manager — in fact, my final inning. I stood in the third-base coach’s box as my Legion team trailed by a run. There were two outs. The potential tying run stood on second base in the form of a freshman. I still remember his name: Andy. Andy, if you’re reading this, I’m still not happy about what you did. What Andy did was this: With a count of two balls and no strikes on the batter, he took off on a stolen base attempt of third and promptly got thrown out. Thus ended the game, the season and, alas, my career as a manager. Andy, if you’re still reading this, here’s the rule: Never make the final out of the manager’s career at third base, especially when he hasn’t given you the steal sign and ESPECIALLY when he’s supposed to give you a ride home. I still remember the smirk on the opposing manager’s face when Andy got thrown out in a cloud of stupid dust and dissipated dreams. He wore big round eyeglasses and had a tan like Jim Palmer’s. Yep, I remember. And I remember thinking, Jeeeeez, Andy, that guy thinks I gave you the steal sign! Looking back, I can still see myself turning in disgust and marching toward the dugout without saying a word. I still don’t like the view, but what’s a guy to do? The bad times come with the good, even in baseball — or especially in baseball. I remember the good times as an 18-year-old umpire. I remember those cute little kids building sandcastles in the dugout. I remember when they’d run around the bases in helmets too big for their heads. I remember when they’d catch a fly ball as if it were an airborne gift from Santa, snagged in a happy accident. And I remember when they’d make a bona fide throw to first base, the hints of a future ballplayer housed inside that skinny little arm. They were learning about the game in the air of happiness, but they still had to understand the rules of baseball. Or tee-ball. And in the first inning of that first game, I had just laid one down: Even if inadvertent, a half-swing tap is a strike whenever the ball hits the ground. Call it draconian if you must. I called it strike one. That third-base coach sure didn’t agree. I can still see him now. He had Type-A written all over him, the kind of guy who gets what he wants. Whatever. He wasn’t getting what he wanted, not if I had something to say. He kept yelling at me, screaming, but I just said play ball. As for the kids, they kept tapping the ball to the ground, one after another … after another … after another. Strrrrrrrrike! Had I not called it a strike, the inning would have lasted six and a half days. Still, the coach just wouldn’t put a muzzle on it. At half-inning’s end, he marched across the diamond and bumped me. Scout’s honor, he bumped me — threw his shoulder into mine, right there behind the pitcher’s mound of a tee-ball field. I turned and said something I had never said to anyone. I told him to go to hell. Days later, the supervisor called me into the office and said, “Dude, you can’t tell coaches to go to hell. This is the YMCA.” I countered that the Young Men’s Christian Association is precisely the setting in which this sort of theological construct should be explored, this notion of Heaven and Hell, but he said no, don’t do it again. So I didn’t. I never told another coach to go to hell. I never even wanted another coach to go to hell. He was the only one. Do I like the view from where I’m sitting today? Not really. I wish the episode never happened, but I can’t change the fact that it did. I should mention, though, that I still wouldn’t change the call. I made it up on the spot, true, but I stood by it and still do. Everybody’s human, even umpires. They’re all a part of this long story, along with the players and managers and writers and fans. I’ve been all of them. And despite the troubles, I’m pretty happy about my time inside the game. I’m also happy about my time at its edges, even now. It’s idiot coaches like that that make kids turn to soccer. So much for teaching children proper respect for authority figures, etc. Good job only saying what you said. This piece made me create a login for a website, just so I could leave a comment. Wonderfully written, with excellent anecdotes and prose. Worth a lifetime of Fangraphs spam, no doubt. I would have said a lot worse than go to hell. 🙂 You should be commended for your restraint. Weirdly, I’m pretty restrained in all aspects of my life but writing. With writing, I just go on and on and — what’s the word? — on. Fantastic. Loved this piece, John. Much obliged, B-Dub! I appreciate the kind words. The kid swung at the ball. Had he missed, that would have been a swinging strike. He touched the ball, but did not put it in play, making it a foul, also a strike in a 0-0 count. You made the correct call. And you wrote a fine story. Paul Swydan thought so, and he is a good judge of writing. Keep up the good work … but lose some of the self-deprecation. You write well. Never apologize for that. Regarding self-deprecation: I’ve gotten quite good at it. In fact, when it comes to self-deprecation, I tend toward braggadocio. But seriously, thanks very much for the kind words. I really loved your story. I’m not familiar with the English language, but I had a great time reading you. Thank you very much. We see how much you love baseball… and how much I love baseball too when I read you. I create an account especially for this piece. Glad to have you aboard, and equally glad you enjoyed it.